The Most Family-Friendly, Action-Packed Motor Sport in the World returns to Legacy Arena at BJCC – January 5 & 6, 2019! Birmingham, AL September 17, 2018 – Monster Jam®, the unexpected, unscripted, and unforgettable family-friendly motor sport announced today that tickets are now on sale for the 2019 Birmingham events. The 2019 season will bring a new level of high-flying, four-wheel excitement to the entire family with six different competitions at Legacy Arena at BJCC on January 5 & 6, 2019. Featuring eight of the most intense athletes of Monster Jam, Birmingham fans will witness a fierce battle for the championship with each competitor contending in customized high-powered vehicles: Monster Jam Speedsters, Monster Jam ATVs and of course, the iconic Monster Jam trucks in six events sure to leave fans on the edge of their seats. 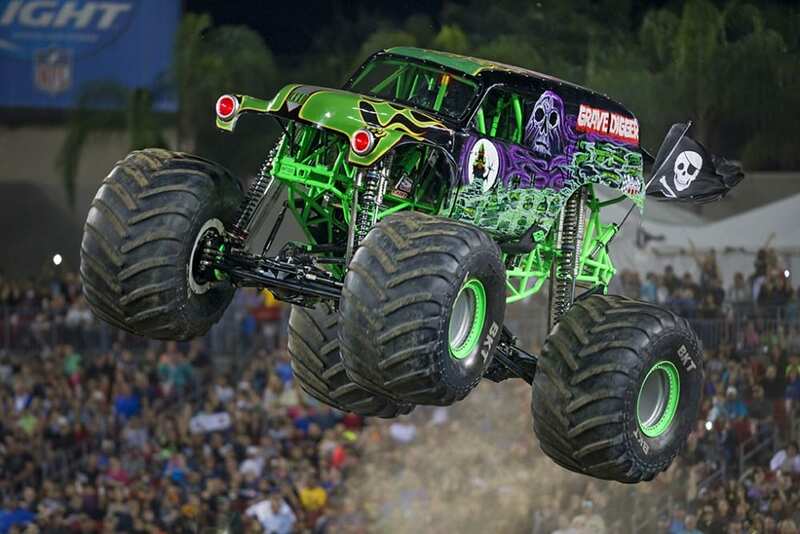 Birmingham Monster Jam 2019 tickets go on sale to the public Tuesday, September 25th via Ticketmaster; sign up in advance to become a Monster Jam Preferred Customer to get early purchase access to Monster Jam tickets with a special code during the venue pre-sale period from September 18–25: https://www.monsterjam.com/en-US/preferred-customer-page. For all the latest news, announcements and updates, be sure to watch the Monster Jam 2019 Season Kickoff Show live streaming on MonsterJam.com on Tuesday Sept 18th at 6:00pm CT.
Tickets & Pit Passes will be available for purchase online at Ticketmaster.com, charge by phone at 800-745-3000 or in-person at the BJCC Arena Box Office.